Scandinavian Design Original, three words that together express research for design combined with quality and originality. Allow yourself to be surprised each day by aesthetically beautiful and practical items that help us to live better. Menu changes in everything, the quality and cleanliness of forms eliminate the unnecessary decorations, leaving the product in its purest form. 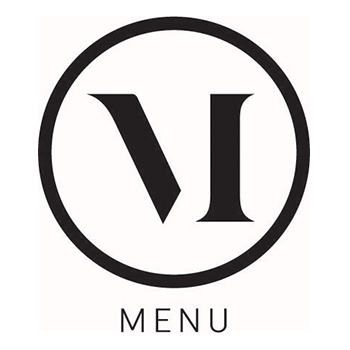 Menu Scandinavian Original Design is a brand that contains in its name the fundamentals concepts to understand the company philosophy. In fact, the characteristic style created shows items with a high level of aesthetic beauty and decoration, which denotes high functionality, thanks to specific researches in innovative and unique designs. Products are created with high standards of quality and originality. The company's philosophy is focused on the creation of products that help people to live better. The particular quality of lines and extreme shape cleanliness tends to eliminate decorations that are useless, giving the products a definitely pure line free from complications. The product list is particularly long, offers a wide sample collection from which to choose from, ideal products for every taste. All items are exclusive and definitely refined. The menu offers accessories for home furnishings, lighting, and textiles. The Scandinavian style is displayed, extremely soft, essential and with optimal materials used. The shapes are always light and innovative, concentrated on high design and with particular attention to details. The products are definitely versatile and appropriate for a wide number of clientele. The items produced are mainly dedicated to the utility concept of the product, with minimal lines and constant research on modernity, which requires better space optimizations, and creation of cleaner environments oriented to people's lives.The products created by Menu Scandinavian Original Design want to bring back to life ancient items, now forgotten, characterized by high decorations, mixed with a very modern vision in order to represent innovative works of art which include extreme functionality. The guarantee of materials used is absolute and provides great insurance throughout the item's duration. The mixture of materials used stirs the senses of people, exciting them while using these common daily items. Scandinavian Design Original, three words that together express research for design combined with quality and originality. Allow yourself to be surprised each day by aesthetically beautiful and practical items that help us to live better. Menu changes in everything, the quality and cleanliness of forms eliminate the unnecessary decorations, leaving the product in its purest form. Menu Scandinavian Original Design is a brand that contains in its name the fundamentals concepts to understand the company philosophy. In fact, the characteristic style created shows items with a high level of aesthetic beauty and decoration, which denotes high functionality, thanks to specific researches in innovative and unique designs. Products are created with high standards of quality and originality. The company's philosophy is focused on the creation of products that help people to live better. The particular quality of lines and extreme shape cleanliness tends to eliminate decorations that are useless, giving the products a definitely pure line free from complications. The product list is particularly long, offers a wide sample collection from which to choose from, ideal products for every taste. All items are exclusive and definitely refined. The menu offers accessories for home furnishings, lighting, and textiles. The Scandinavian style is displayed, extremely soft, essential and with optimal materials used. The shapes are always light and innovative, concentrated on high design and with particular attention to details. The products are definitely versatile and appropriate for a wide number of clientele. The items produced are mainly dedicated to the utility concept of the product, with minimal lines and constant research on modernity, which requires better space optimizations, and creation of cleaner environments oriented to people's lives. The products created by Menu Scandinavian Original Design want to bring back to life ancient items, now forgotten, characterized by high decorations, mixed with a very modern vision in order to represent innovative works of art which include extreme functionality. The guarantee of materials used is absolute and provides great insurance throughout the item's duration. The mixture of materials used stirs the senses of people, exciting them while using these common daily items.